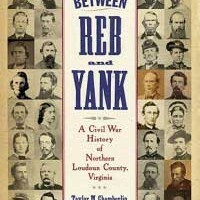 Between Reb and Yank, by esteemed local historians Taylor Chamberlin and John Souders, delves into Loudoun County’s—and Waterford’s—turbulent Civil War history along the border between North and South. Northern Loudoun was berated by Southern newspapers and commanders for its lack of loyalty and retribution was sought against its “tory” inhabitants. On the other side, Federal soldiers were delighted by the hospitality and waving “stars and stripes” that greeted their arrival in this part of Dixie. Between Reb and Yank provides a fascinating account of the men who fought and the civilians caught between the two armies, of neighbors raising partisan outfits to oppose each other, of families split by conflicting loyalties, of prosperous farmers ruined by the conscription of their sons and confiscation of their crops, and of Quakers forced to search their consciences whether to fight, flee, or turn the other cheek. At the heart of the Union enclave and conflicting farming communities in war torn Loudoun was Waterford, whose peaceful Quakers were mired in the turmoil from the time of the May 21, 1861 anti-secession vote. It was Waterford’s miller, Samuel Means who called up the Loudoun Rangers––the only cavalry unit from Confederate Virginia that fought for the North. It was the daring Dutton sisters who published the underground pro-Union Waterford News that even reached President Lincoln’s desk. Frank Myers, White’s fiery young lieutenant, wrote a stirring history of their battalion. But he omitted much, and the authors have used his diary to recount the climactic final days of the war as well as the galling bitterness that the unreconstructed Rebel felt on returning to Waterford. 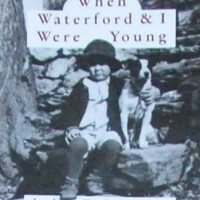 Read all about these famous people in Waterford’s past, plus many more.